THE SYDNEY MORNING HERALD: No sooner had Steve Jobs resigned than the process of his canonisation began. Genius, visionary, even revolutionary were some of the epithets used to describe the man who took Apple from the brink to the world's most valuable company. Yet, once the hyperbole is stripped away, it may be that he was merely the man who made us fall in love with pretty gadgets, and made Apple shareholders immensely rich in the process. To avoid a financial meltdown, the European Central Bank has spent nine billion dollars to protect Italy and Spain. In Greece as the new financial forecasts show the economy is still shrinking, the European Union and the International Monetary Fund are discussing whether the government has done enough to warrant more emergency funds. Al Jazeera's Barnaby Phillips reports. 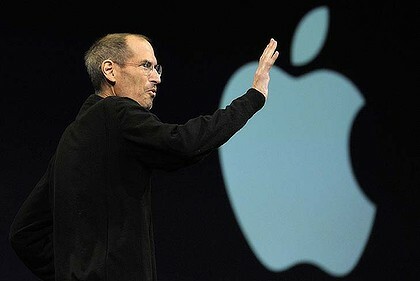 Steve Jobs has resigned as chief executive officer of Apple Inc, saying he could no longer fulfil the duties of the job. Jobs, 56, who fought and survived a rare form of pancreatic cancer, revolutionised consumer electronics for a decade with the introduction of the iPod, iPhone and iPad. With his passion for minimalist design and marketing genius, Jobs changed the course of personal computing and the entertainment industry. He has been on indefinite leave since January because of an unspecified medical condition. Al Jazeera's Rob Reynold reports from Los Angeles. BBC: Some of France's wealthiest people have called on the government to tackle its deficit by raising taxes - on the rich. Sixteen executives, including Europe's richest woman, the L'Oreal [sic] heiress Liliane Bettencourt, offered in an open letter to pay a "special contribution" in a spirit of "solidarity". Later the government is due to announce tighter fiscal measures as it seeks to reassure markets and curb the deficit. They are expected to include a special tax on the super-rich. Before the announcement, expected on Wednesday evening, a letter appeared on the website of the French magazine Le Nouvel Observateur. It was signed by some of France's most high-profile chief executives, including Christophe de Margerie of oil firm Total, Frederic Oudea of bank Societe Generale, and Air France's Jean-Cyril Spinetta. They said: "We, the presidents and leaders of industry, businessmen and women, bankers and wealthy citizens would like the richest people to have to pay a 'special contribution'." The pressure was on for Angela Merkel and Nicolas Sarkozy to reassure the markets and shore up confidence in the single European currency. Reassurance will come in the form of more regular meetings of eurozone leaders to monitor their economies, as well as a mechanism to stop countries from running up big deficits. Al Jazeera's Jacky Rowland reports from Paris, France. One of the south London businesses facing a clean up after angry young people did massive damage to it during widespread unrest earlier this month is the Reeves furniture store in Croydon. Al Jazeera's Barnaby Phillips reports from Croyden. Germany's economy almost stalled in the second quarter as the region's sovereign debt crisis weighed on confidence. Gross domestic product, adjusted for seasonal effects, rose 0.1 per cent from the first quarter, when it jumped a revised 1.3 per cent, the Federal Statistics Office in Wiesbaden said on Tuesday. "The German data are certainly disappointing," said Juergen Michels, chief euro-area economist at Citigroup in London. "Everything is pointing toward stagnation in the euro area in the second quarter." But with Germany paying the lion's share of eurozone bailouts, Angela Merkel, Germany's chancellor, has so far shown a remarkable ability to get her way in Europe. There is growing opinion across Europe that so-called Eurobonds are the bold step needed to tackle the financial crisis. The principle behind a common government bond is that Eurozone countries would guarantee each other's debts. Investors would see the bonds as safe and would loan money at low interest rates. The hope is that the lower borrowing costs would prevent any more financial bailouts. But the eurobond has its critics. Are Arab economies on the road to ruin? TAGES ANZEIGER: Angesichts der Turbulenzen an den Märkten hat Nicolas Sarkozy seine Regierung zu einem Krisentreffen einberufen. Frankreichs Bestnote bei der Kreditwürdigkeit steht auf dem Spiel. Overseas buyers are finding opportunity in a depressed housing market in Miami, Florida. Many properties have been left vacant for years, and now a number of Brazilian investors are taking advantage of rock-bottom prices. Al Jazeera's Barbara Benitez reports from Miami. Alan Greenspan: We can always print more money! Can Europe control its runaway debt, and is the US economy likely to contract even further?